Currently, it’s sitting at $140 million off a $100 million budget. That’s hardly impressive, and with talks of those planned sequels possibly being cancelled, it looks like it might be one and done for the rebooted franchise. While the reasons for the low box office numbers can be traced back to a few things, director Dean Israelite believes a lot of it had to do with the PG-13 rating that was tethered to the flick. Chatting with Screen Rant in a recent interview, the filmmaker said that had his movie received a PG instead, more parents would have felt comfortable taking their children to it, which would have resulted in more dollars at the box office. Reflecting on the test screenings that were held for the film, Israelite said that he was disappointed in the PG-13 and feels it was unnecessary, as the young ones “came out of the movie enjoying it” when the studio previewed Power Rangers for children. As mentioned above, Power Rangers sits at about $140 million right now, which is hardly anything to get excited about when it comes to a film like this. No one was thinking it would do MCU numbers, of course, but its current haul is still pretty underwhelming all things considered. Especially for a release that’s supposed to be a franchise starter. In regards to that sequel, it’s definitely not looking too good then, though until Lionsgate makes an official announcement, fans can remain hopeful that Power Rangers 2 will somehow find itself with a green light. The chances are low, to be sure, but who knows? Perhaps the film will really take off on Blu-ray? Or maybe someone will come along with an idea for a second outing that’s just too good to pass up? Fine, we’re probably pulling at straws here. 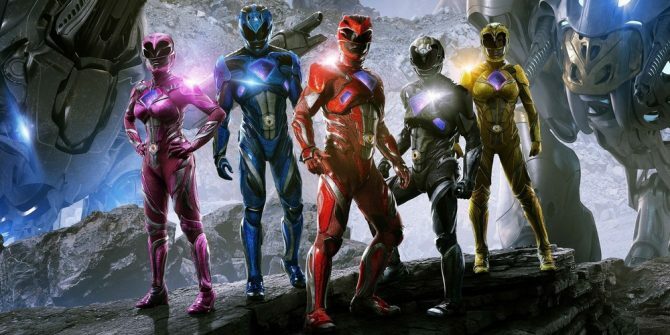 For the time being, it looks like the franchise is all but done with the silver screen and barring any sort of miracle during its home video release, we can probably kiss those Mighty Morphin Power Rangers goodbye.